Hospitality Industry has been experiencing an unprecedented building and branding boom. With International business conferences, sports, cultural and other major events taking place from time to time which attract tourists from all over the World; the Hotel Industry would be experiencing very high occupancy for most of the year. Since health, fitness and relaxation are always on the minds of tired tourists and business executives, who travel frequently; it comes an un parallel opportunity for the hotels to offer relaxing and rejuvenating facilities in their elegant health-spas. The world and the spa industry are constantly evolving; new trends emerge and the spa user is increasingly knowledgeable and demanding. In order to achieve a successful, unique experience for your client you require a team of experienced, multi-skilled, experts with operational understanding, business know-how and a handle on current developments in the spa world. 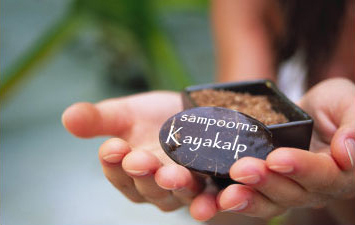 SAMPOORNA KAYAKALP AYURVEDA & SPA CONSULTANTS is an India based company working on innovative spas. Whether you are a small business venture or a multi-site operation SAMPOORNA KAYAKALP is right for you. We pride ourselves on our personal dedication to our clients. We know that it takes much more than location and funding to turn any spa into a true profit-producing venue. We have the background and experience necessary to translate your vision into a tangible facility that has visible signs of your brand values, culture and service ethos. We will help you properly design, equip and initiate the successful start-up of your spa or to analyze, restructure and redesign an existing facility. SAMPOORNA KAYAKALP AYURVEDA & SPA CONSULTANTS are that team. What put us ahead of our competitors are our personable hands on approach, everything is unique, no aspect is generic, and in conjunction with our favorable prices this makes SAMPOORNA KAYAKALP AYURVEDA & SPA CONSULTANTS the right choice. Supply of highly skilled therapists & masseurs, Yoga instructors and qualified Ayurvedic doctors on contract basis for long term as well as short term peak seasons. 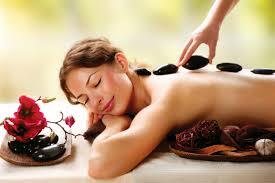 We also supply Ayurvedic Herbal Massage Kits, Herbal medicinal oils and rejuvenators. All of the products in our catalog are prepared in strict accordance with the ancient recipes of the sacred Ayurvedic texts and sourced from the eco-friendly SKA certified organic herbal plantations based in Himalayas. A full turn key operation setup of an Ayurveda Spa is also provided, with specialized Ayurveda Massage tables (Dronis) and all the standard Panchkarma & Spa equipments and massage disposables. Our client’s vision is paramount and we will work with you to achieve your goal. If required, SAMPOORNA KAYAKALP will assist in all aspects of your facility’s development. From space requirement reviews, mechanical, electrical and design data sheets, FF&E requirements, to ergonomically designing every room for comfort and ease for the client and therapist alike. We will assist you in reviewing staff, selecting management systems and maintaining a successful operation. Beyond the build SAMPOORNA KAYAKALP AYURVEDA & SPA CONSULTANTS specialize in auditing and mystery shopping to ensure your operation is reaching its maximum financial and operational performance. DR. SUNEET AURORA is an Ayurveda & Spa Consultant with experience of 15 years in the practice of Ayurveda, Yoga and Meditation, and 10 years in running of a Day Medi-Spa in Ludhiana, India. He is a consultant, promotor and Head, Ayurveda Clinics Division to the Essential Health Care Limited. He has been a consultant to various Pharma companies in training their production & sales staff. Dr. Aurora is also a Corporate Wellness Consultant, running Stress Management & Meditation Workshops for Corporate. DR. PREETI ARORA is an Ayurveda, Panchkarma Detox, and Skin & Wellness expert. She has developed special research based Skin Formulations for Eternal Beauty, Anti-Ageing, and Chronic Skin Disorders. Dr Preeti specializes in KAYAKALP, the ancient Ayurvedic Secret of Rejuvenation & Detox. RAMESH JHAMNANI is MBA from Wake Forest Univ, USA and is the consultant for the SAMPOORNA KAYAKALP international projects, with an eventful experience of working with various International and Western Corporate. NAVNEET NARULA is a Management Consultant with seven years of management and operations consulting experience serving diverse clients in the asset management, investment banking, IT outsourcing and emerging markets domains. Navneet holds an MBA in Strategy and Operations from the Carlson School of Management at the University of Minnesota, US and a Bachelor’s degree in Industrial Production Engineering from the National Institute of Technology, Calicut. Navneet has as a management consultant with Cutter Associates in United States and Tata Consultancy Services in India, United States, and Europe. Adv. RAJIV ABHI, LLM is the Senior Legal consultant of the company. Droni- The specialized massage table, made by seasoned teakwood/rosewood of the himalayas, available in 2 sizes: Standard and Royal, with steps. Standard Ayurveda Medicines, Organic Herbs, Herbal Teas, Herbal Oils, Herbal Soaps, etc.